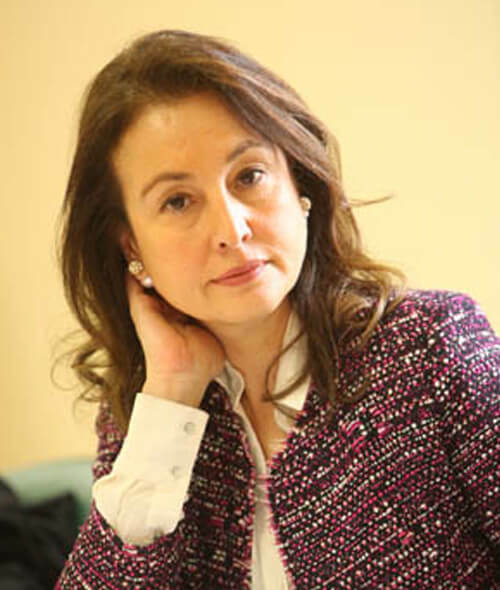 Mrs. Mona Al-Husseini is the Communications Advisor at the Jordanian Embassy in France and the Secretary for “le Prix du Roman Arabe”: a prize that aims at consolidating intercultural dialogue between France and the Arab world. It does so by highlighting distinguished Arab writers whose books have been translated to French.Born in Amman and raised in Beirut, Mona Al-Husseini belongs to one of the oldest families of Jerusalem. She has been living in France since 1986. Mrs. Al-Husseini pursued her education at the American University of Beirut, and then at the Syracuse University. She holds a B.A. in Business Administration and a M.A. in Mass Communications. Mona Al-Husseini is a strong advocate for the preservation of Arab cultural heritage and is active in efforts to safeguard “Al-Khalidiyyah”, or the Khalidi library in old Jerusalem, established in 1889. It is the foremost and finest private Palestinian library, harboring one of the largest collection of manuscripts and books on Islamic history, sciences and law in the Arab world. Mrs. Al-Husseini is also the Secretary and Treasurer of the Jordan River Foundation in France and has participated in organizing cultural events for UNESCO. She has also conducted fundraising campaigns for some of the foundations most important projects in support of child protection and women’s economic empowerment.